What actually is a military style weapon has been well known for the last century. To listen to some pundits and politicians, who remain perpetually clueless about them, most would be forced to question the mental impairment of these same pundits and politicians. If we aren't going to use the military definition of a military weapon, then really . . . what purpose is the discussion? Military style weapons have been nasty things. They come in a couple of easy to discern styles: chemical, biological, radiological, and nuclear. 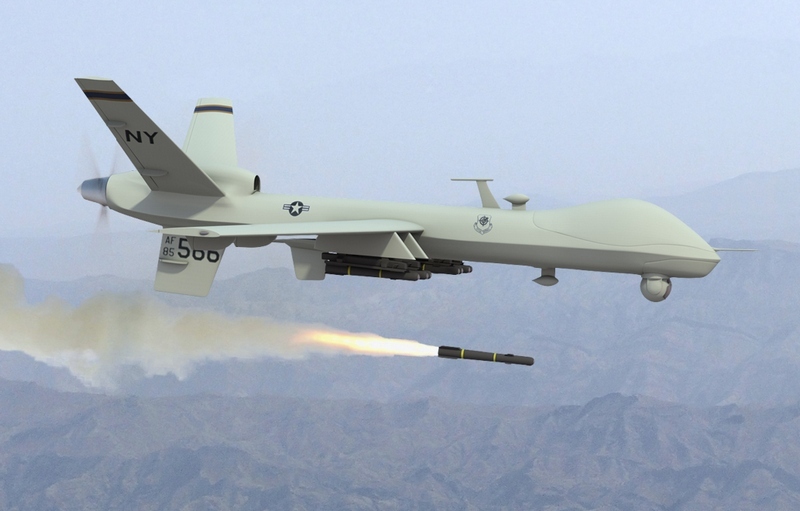 Military style delivery systems are of course armed drones, rockets, guided bombs, cruise missiles, and so forth. These are the ideas of a military style of weapon that civilians do not want protected as part of the Second Amendment. In World War I, poison gas accounted for about 88,000 deaths and about 1.24 million non quickly fatal casualties. Near the end of World War II, Operation Downfall, the Allied name for the invasion of Japan, included plans for use of poison gas. We advanced to Agent Orange in 1961  1971, all part of the U.S. Military chemical warfare program Operation Ranch Hand. Nearly all of the food they had been destroying was not being produced for guerrillas; it was, in reality, only being grown to support the local civilian population. Widespread famine occurred as a result, leaving hundreds of thousands of people malnourished or starving. An estimated 400,000 were killed or maimed, with 500,000 children born with birth defects as a result. Operation Downfall was canceled after a newer military style weapon, the atom bomb, was used on August 6, 1945 on Hiroshima with 90,000-166,000 deaths from Little Boy by the end of 1975. Fat Man on Nagasaki took 60,000  80,000 lives in short order. As far as cost, according to Stephen I. Schwartz, the publisher of The Bulletin of the Atomic Scientists, United States expenditures for nuclear weapons and weapons-related programs between 1940 and 1996 consumed nearly $5.5 trillion in adjusted 1996 dollars. That is 29 percent of all military spending and 11 percent of all Federal Government spending. Mr Schwartz further wrote, As for lives lost, while the United States and the Soviet Union did not fight on the battlefield, hundreds of thousands of American and Soviet citizens were exposed to the radioactive and toxic byproducts of nuclear weapons production and testing in their own countries. The human toll of these activities is only now beginning to be quantified. (New York Times, May 20, 1999). We have far more impressive light gear: the MK-19-3 Grenade Machine Gun (1983) and the M240B machine gun (1997) are two examples. The various towed Howitzers have been around for a good long while, the M119A1/A2 105mm towed howitzer has been around since 1989., with a standard range of 14,000 meters. 19,500 meters rocket-assisted. The MLRS (Multiple Launch Rocket System) needs only a crew of three and handles many targets to 300 miles or so: it has been around since 1983. Towed Howitzers, MLRS units, Grenade Machine guns . . . all handy things have in addition to Apache Longbows, armed drones, and myriad other assets. You can forget a semi-automatic shoulder-fired rifle as military weapon-- we don't use them, nor does any significant military power. Don't politicians have any clue what they have been spending all the tax dollars on? If they did, they would certainly know the difference between a weapon of the battlefield and a consumer-grade self-loading rifle that is 55 years old, which is precisely what the Armalite Rifle is. Well, we already have an estimated 20,000 or so gun laws on the books. We had an Assault Weapons Ban with no statistical effect. The Brady Bill / Background check system has also has no measurable effect: no statistically discernible effect on reducing gun deaths, according to the study by Philip J. Cook, a Duke University professor of public policy, economics and sociology. "The Brady Bill seems to have been a failure," stated Cook. As far as I'm concerned, a reasonable law has to be well-reasoned. That might sound redundant, but merely calling something reasonable hardly makes it so without reasonable study and consideration. If a law is unconstitutional, it isn't reasonable. Yet, those who have sworn to defend the Constitution seem to lose their minds every time they introduce unconstitutional laws. If our elected representatives understood what they were swearing to, it wouldn't be such a mess: I do solemnly swear (or affirm) that I will support and defend the Constitution of the United States against all enemies, foreign and domestic; that I will bear true faith and allegiance to the same . . . By what theory can introducing an unconstitutional piece of legislation, or voting for it, coexist with support and defending the Constitution? That isn't reasonable. According to the FBI, the violent crime rate has been in a steep decline in the U.S. for the last 20 years. A reasonable law, even if constitutional, must be shown to be effective. 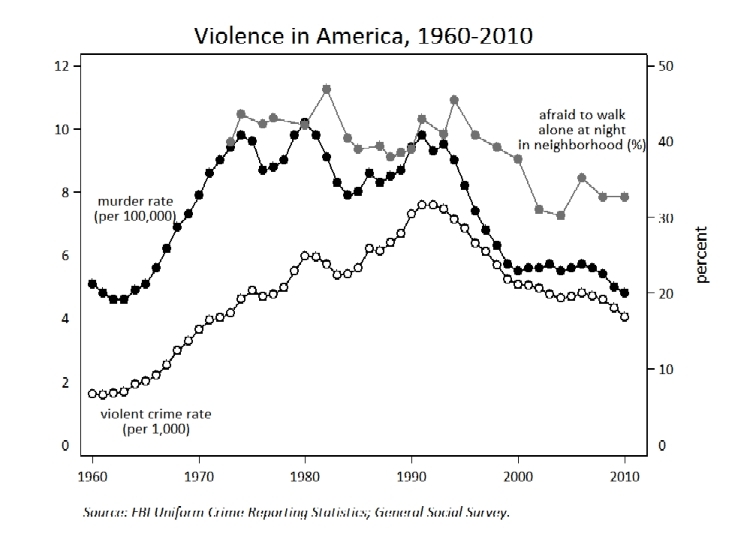 It isn't like crime or violence is rarely studied. It has long been deeply, relentlessly studied which is precisely why we know gun laws, like drug laws, only effect those who wish to obey the law. Gun laws don't work. It is cowardly and creepy to exploit the tragic loss of children to advance an agenda based on emotion, not reason. Emotion-based law cannot be reasonable. 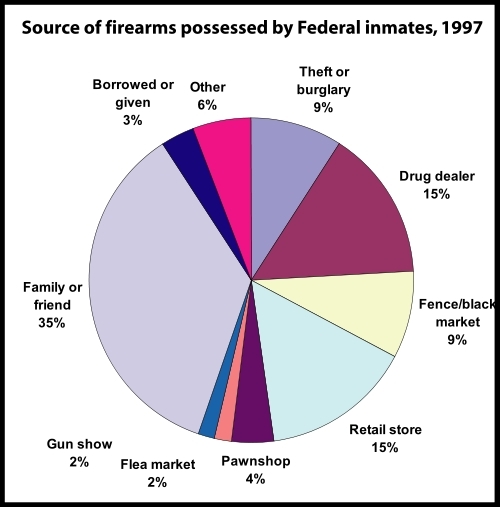 And what of the estimated 1.5 million times a year personal firearms are used by law-abiding citizens to thwart or stop crime? It isn't reasonable to ignore this, not if you believe in well-reasoned law. What about guns in schools? Apparently few have heard of the State of Utah. Utah school personnel have had the right (since 2001) with concealed weapon permits, to carry firearms in schools and universities. There have been no injuries to students injured in Utah since teachers were allowed to have firearms. It isn't a gun question, of course, but an overall security question and strategy situation. Sometimes, an elected official says something so dumb that it hurts that I can't refrain from citing it. In this case, New York City Mayor Michael Bloomberg recently said (CNN): "There are lives involved here. And if you can save one life, isn't that worth trying?" One life? Mike Bloomberg must have far more dollars than brain cells. I would suggest it if Mayor Bloomberg wants to save a life, he can spend some of his $25 Billion on crash helmets. It is common knowledge that of the 35,000  40,000 dead on American highways every year, many are innocent children. Head injuries are a leading cause of death; merely wearing protective headgear would most assuredly not just save the one life that Mayor Bloomberg aspires to, it would save thousands of deaths and countless non-lethal injuries. Only Mike Bloomberg would rather shred the Constitution, tax and hassle the law-abiding citizen rather than funding crash helmets for toddlers. Many brave American have died for their Country. They did not die for politicians, they did not sacrifice for Mike Bloomberg's fantasy of what an assault weapon might be, and they sure didn't fight to return home to a country that tries to tell you what size soda you can drink. Whether it is good for television talk shows or not, violent crime rate in the United States is in a steep decline and has been for the last 20 years. Violent crime rates have continued to fall despite the sunset of the ineffective "Assault Weapons Ban"that expired on September 13, 2004 and an increase in concealed carry permits. Certainly mental health is an issue, but not an easy one. In 2012, we lost more U.S. troops to suicide than on the battlefield (Reuters, Jan. 14, 2013). We do know that those with mental health issues are no more prone to violence then the general population, yet are far more likely to be a victim of violence than to be perpetrators. What about background checks? Note also that the media-celebrated Virginia Tech and Aurora, Colorado shooters both passed multiple background checks. What about that alleged "Gun Show Loophole?" It doesn't seem to be much of a loophole at all. 2) Eliminate soft target "gun free" zones already shown to attract violence from Post Office to school to shopping centers. 3) Understand that police are called to the scene after a crime, not before. Accept what is know fact: guns are used to prevent far more violent acts than they are used to perpetrate. 4) Continue to punish the wrong-doers, but do a better job at it. But also protect the U.S. Constitution and the right of self-defense by law-abiding citizens. As Edward Murrow suggested, Liberty & Freedom is not a spectator sport. Statutes passed by emotion, not by reason, are invariably unreasonable.